A beautiful dog bed with a British double secret agent! 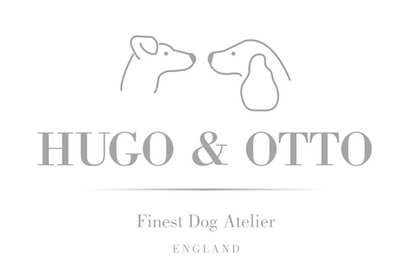 Hugo & Otto Whitehall Dog Beds, so named in honour of our British Secret Service and the design innovators who invent products to help make our lives at home easier. The Whitehall Dog Bed is certainly the superhero James Bond of dog beds with it's gorgeous looks and outstanding durability with an additional secret agent that you cannot see called Fibreguard® Stain Resistance Technology. Designed by Hugo & Otto and handmade in stunning Anthracite a dark grey contemporary fabric with innovative Stain Resistance Technology. With super smart, clean, contemporary looks in harmonising colours and design intelligence at every level The Whitehall is ahead of the luxury dog bed pack. This fabric feels cosy and warm with natural wool looks whilst it is actually made from 100% Oekotex® Standard 100 polyester. A Sumptuous, deep filled mattresses and walls offer your dog supreme comfort and vital spinal support. We have maintained strong interior design links with historic and new British fabric suppliers and we are truly super proud to say that on every step of our design journey we have included proud British Companies with our hand finishing and embroidery in Wales. Designed to be as practical as it is gorgeous The Whitehall Luxury Dog Bed is designed to harmonise with your home, your lifestyle and offer the very best of comfort and vital spinal support for your dog. This fabulous fabric was launched by a British Company in September 2018 and is outstanding on so many levels with a robust 141k rub test (upholstery fabrics are generally anything from a 30 - 40k rub test) which is pretty amazing when considering practical and durable fabrics for our 4 legged companions. Made in 100% Oekotex® Standard 100 polyester which is fully washable at 30' and they added Fibreguard® a stain resistance product made in Belgium to the manufacture process. Added to the fibres when spinning during manufacture the Fibreguard® coats the fibres and goes onto the weaving process. Choosing this fabric for our dog beds was a no brainer as we all know living with our dogs no matter how clean they can be can include many muddy paw walks in the park and the odd accident. Hugo & Otto believe in being practical as we all lead busy lives, washing dog beds is truly not an easy task and this is why we have designed every part to be taken off individually to make this process as easy as possible for you. Staying ahead of the rest of the pack we want to offer you the very best and have provided you with an inner Base Mattress Protective Cover with full zipper to help protect your dog's base mattress. Fibreguard® is a liquid product that is added to the fibres when in the process of weaving the fabric. It acts as an agent to protect from staining, we would recommend you watch the video as stain removal is really quite simple if you follow their simple guidelines. We cannot of course guarantee your fabric for life, but with a 141k rub test and innovative stain guard technology we have a dog bed that offers you the very best available. On a daily or weekly basis we recommend to shake out the base mattress of your dog bed to plump back into shape just like your bedroom pillows and cushions and use a hand vacum lightly to clean away hairs. Spillages or marks can be taken care of easily and quickly without having to unzip and wash the whole dog bed. It is recommended to spray the mark with plain tap water and gently rub in a circle motion with a soft clean cloth and repeat. The cover and mattresses can be washed individually. Pull out the base mattress and unzip the cover and pull off. The inner mattress protective cover is now visible if this requires washing unzip and pull off. The base mattress can also be washed. The main bed cover: Easily removed by the integral full length zip inside the base of the bed. Simply twist the side bolsters inside out and the whole bed is inverted which reveals the zip. Unzip and the 4 side bolsters pull out of their little pockets and hey presto you have the main cover. We would recommend to zip all the covers back up whilst washing. All Upholstery fabrics during repeated washing will start to fade over time - we recommend to wash the base mattress and main dog bed covers together at the same time to avoid colour changes. Dark colours should not be washed with light colours and we would recommend washing your covers on their own. They are all made individually for ease of washing, the covers of your mattress and side bolsters are made from 100% natural cotton batiste. You may ask why do they all have zippers on them. We put them in so that you can regulate the firmness of the side bolsters and base mattress. You can reduce the filling content should you wish to. Just like us some dogs like to have a firm mattress and lay up high, whilst others prefer softer cushions. Simply unzip and pull out some of the recycled fibre pop into a bag and put away for the future should you want to re-stuff it. Whitehall Outer Cover: We recommend to wash on a low temperature (up to 30 degrees) on a gentle synthetics wash cycle. Dry naturally. Do not tumble dry. Iron on a low heat on the reverse side only. Do not bleach. Internal Mattress Protector: Machine washable on a synthetics cycle up to 40 degrees. Dry naturally. Do not iron. Do not bleach. Inner Mattress: We recommend to wash on a gentle synthetics wash at up to 40 degrees. Line dry naturally and re-shape/plump up while damp. Do not tumble. Do not iron. Do not bleach. NB: Please bear in mind that gentle wash cycles and lower temperatures can help prolong the life of any fabric. International Freight & Courier charges Courier charges differ between Country, Distance, Total Weight & Size. Please note we recommend that you check your Country's Taxation laws for importing International products into your Country, depending on the value of the goods and the shipping costs Customs charges may apply to you before they will release your order.